Will student debt drive people apart? Posted 30th January 2017 & filed under Blog, Higher Education, Student Loans. When the Coalition government tripled tuition fees from £3,000 to £9,000 per year there were some who hoped that this would promote social solidarity, “enabling poorer kids to go to college” and avoiding “the dustman paying for the education of the doctor” – as the argument often went. Of course under the previous regime poorer kids already could, and did, go to university in huge numbers and the doctors paid so much more in tax than the dustman that higher earners were already mainly funding the universities. But, far from social solidarity, it now looks as though student debt is already proving socially divisive in ways that the government totally failed to anticipate – on top of the obvious division between the generations to which it has contributed. For a start there are many working-class teenagers who would be perfectly able to go to university but are choosing not to because their families have a culture of avoiding getting into debt. Telling them that this is really an “income contingent graduate tax” doesn’t always convince teenagers who are inclined to believe what is written on the packet – and it clearly says “student loan”. Also, many of them doubt whether some of the courses they are offered are worth them spending £50,000 and three years of their lives on, even if they don’t themselves use the terminology “negligible graduate premium”. So in this way student debt is contributing further to a long-established division between those who go to university and those who don’t. Crucially, the terms of student loans are very harsh: as our IF research has shown, interest rates are the highest in the world (for this size of lending) and the terms of repayment can be changed at the whim of government. Indeed the terms have already been changed for the worse. Consequently the wealthy and the smarter elements of the middle class do not take out the loans at all and just pay their tuition fees up front. This creates an immediate division between rich and poor, with the poorer graduates paying an interest rate that is 3–4 times as much as the government pays on its own borrowings. I have heard of one university where the finance department emailed all those who were paying their own fees but published their names in the public copy-in box – so all their students knew through official channels who the richer students were. The effect is that even amongst undergraduates there is now a division between those who pay their own fees and those who borrow. And, by avoiding these expensive loans, the better-off tend to remain better-off. However, there is a third case of social division when you look at how the burden of repayment falls. Projections by the Intergenerational Foundation show that in years to come it will be lower and middle earners who will be paying the highest percentage of their net income on servicing the loans. The current rate of 9% of income over £21,000 pa will be a very high percentage for those earning about £40,000–£50,000 pa, but much smaller for those earning over £100,000. Finally, these student debt payments have an element of optionality. When the Coalition government tripled tuition fees they assumed no change in graduate career choices and behaviour around work. But graduates most surely will find ways to reduce their loan repayments where they can do so legitimately. For example, a couple who are employed might arrange their work so that they each earn just under £21,000 pa. They can do this by choices on who works part-time for the bringing up of children, and they can choose to maximise earnings later in life after the 30-year write-off of the loan. The biggest loopholes, however, are in choices for the increasing number of the self-employed. The number of self-employed is rising rapidly as the Chancellor stressed in his recent autumn statement – in 2008 there were 3.8 million self-employed and the now the figure is moving towards 5 million. And a disproportionate number of those self-employed are young. Soon, as many as 1 in 6 people will be in self-employment and in addition there is also some “hidden self-employment” – people who are “employed” by companies that they own. Opportunities to play the system, and reduce student loan repayments, lie here. A self-employed individual or couple can set up their business in the form of a limited company so that they each get paid only £21,000 from the company and the surplus income is left in the company. 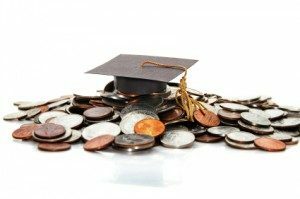 This money can be taken out later – either by a sale of the company or by paying it out only after they reach the age of 51 when their student loans will have been written off. Such wheezes, while totally legal, can only exacerbate the gap between the haves and the have-nots in the student loan game: it is easy to foresee that obvious unfairness might create divisions between the employed and self-employed. So the student loan regime doesn’t just save the Baby Boomers as a group from paying for the next generation’s education but it does so in a way that entrenches social division and is creating new and additional social fault lines.